Take advantage of this natural, purified protein that relaxes the muscles to rejuvenate your appearance. Our Botox injections are safe anti-wrinkle treatments that involve injecting the solution into the skin’s muscles with tiny needles, with little or no pain. 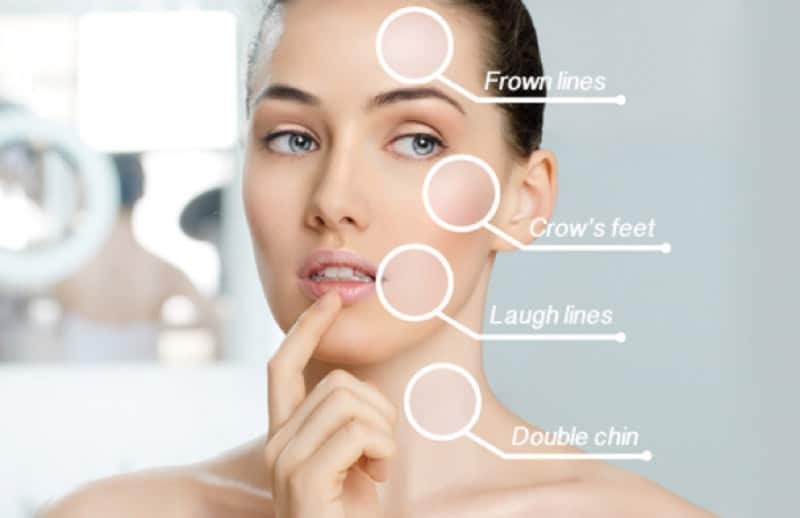 They decrease or eliminate unwanted facial lines, furrowed brows, forehead lines and other signs of ageing and will provide immaculate results for between three and seven months. Dermal fillers are created from a natural complex derived from sugar, which is carefully injected beneath the skin’s surface to diminish the depth of facial folds and wrinkles and provide definition and volume to the lips. Unlike Botox, which treats wrinkles by relaxing the muscles, fillers literally fill in or plump the wrinkles and folds that are present in the skin. They can also be used to enhance your lips’ contour, definition and volume to provide a more youthful appearance. For more information on Anti Wrinkle Injections or any of our beauty services, please don’t hesitate to contact one of our salons, or by using the form below.